Sail across the deep blue ocean to unlock the mysteries of ancient Troy in this fascinating casino slots in UK. Visit an ancient civilisation, match combos and discover the Trojan Horse to receive amazing cash prizes. This latest casino game from award-winning developers High 5 Games combines traditional fruit machine gameplay with great graphics and a fascinating storyline. Find the warrior on the reels to receive amazing scatter bucks! As one of the most popular video slots games UK development companies in the industry, High 5 Games are enjoying their success story. With over 300 hundred slot machine games played in almost fifty countries, it is little wonder that High 5 Games have created some of the most popular and enjoyable games available. As well as being enjoyed by their fans, the developers have also been recognised for their designs by experts in the industry. In 2016, they were awarded North America Best New Game by Electronic Gaming Review, and in 2013, they received an award from ICE Totally Gaming for Best Manufacturer of the Year. As the game begins, we are greeted by the sound of the waves crashing on the shore. Two enormous ships with large blue and white sails approach, as the magnificent ancient city of Troy looks on in the distance. To get you started, read our guide and play the best slots today! 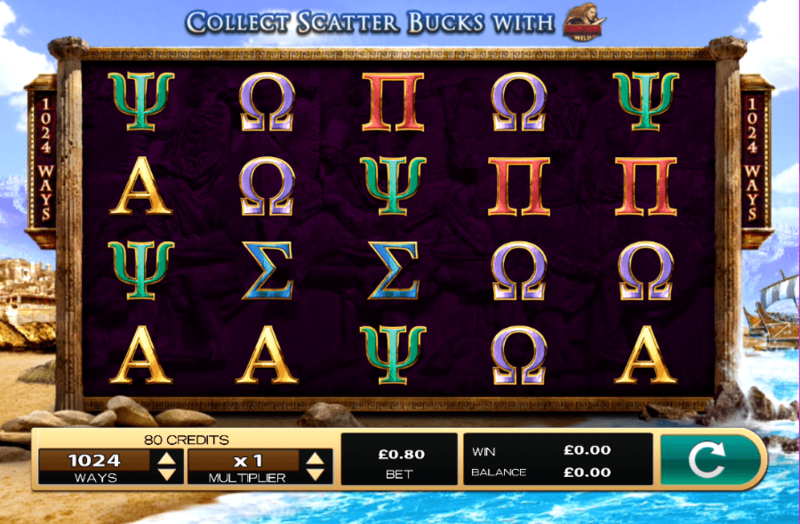 Whilst borrowing many elements from traditional fruit machines, this 4 x 5 slot creates a truly immersive mythical experience with stunning artworks, sound effects, and the use of the Grecian alphabet as symbols on the reels. With ample opportunities to receive bonuses, Legends of Troy: Achilles’ Glory is certain to attract a vast audience of eager gamers. 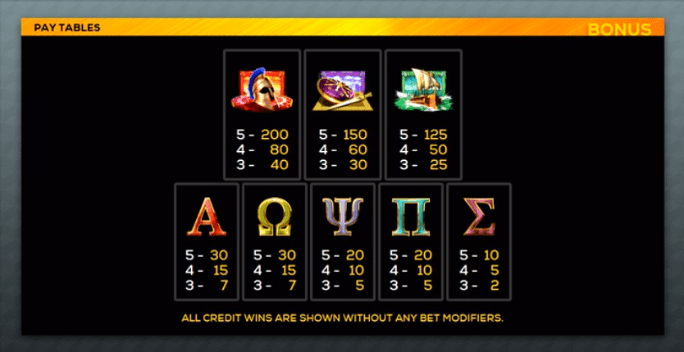 In Legends of Troy: Achilles’ Glory there are 1024 ways to win fantastic cash prizes. Match three or more Trojan Horse symbols to trigger an exciting free games bonus, or collect scatter bucks by finding the wild, depicted by a tremendous warrior. A sequel to the highly popular Legends of Troy online casino slot, this game continues where the last one ended: at the forefront of a brutal war. Battle against the great armies of Troy as you prepare to win the heart of ‘the face that launched a thousand ships’. Legends of Troy: Achilles’ Glory is another victory for famed developers High 5 Games. Adding to their impressive catalogue of world-renowned games, Legends of Troy: Achilles’ Glory complements the collection with an interesting historical backstory, fun and vibrant graphics, and chances to trigger bonuses across the reels. Set sail on a journey to discover the secrets of the Trojan Horse or face the warrior to trigger rewards! We also recommend that you try Reactor!